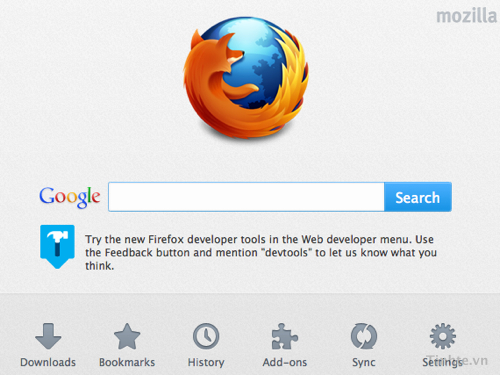 Firefox 12 just officially launched shortly but Mozilla has released the 13th beta version of its web browser. The changes in Firefox 13 Beta mainly to improve the operating speed of the software and user experience. The cards will not automatically reopen if you are using the Firefox error and exit unexpectedly. When opening a new card, users will find the most visited pages, and the default home screen can be improved for quick access to bookmarks, browsing history, software configuration, SPDY (pronounced "Speedy") protocol is also enabled by default to speed for web browsing, scrolling mode smoother site also pops up automatically. If you want to test Firefox 13 Beta, you can download it form http://www.mozilla.org/. Note that some of the Synaptics mouse does not scroll horizontally while browsing.